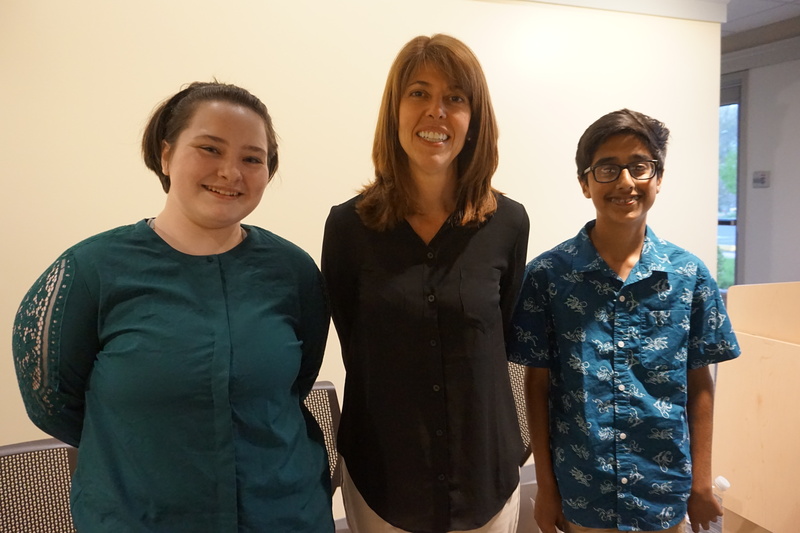 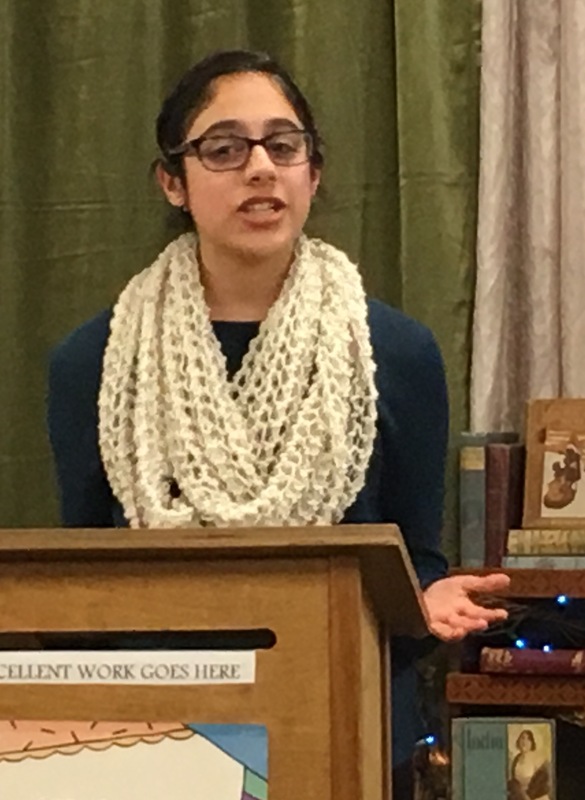 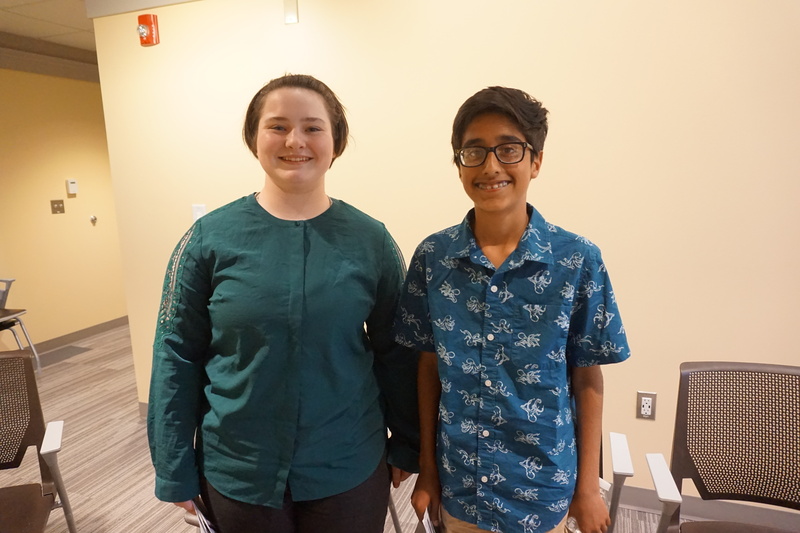 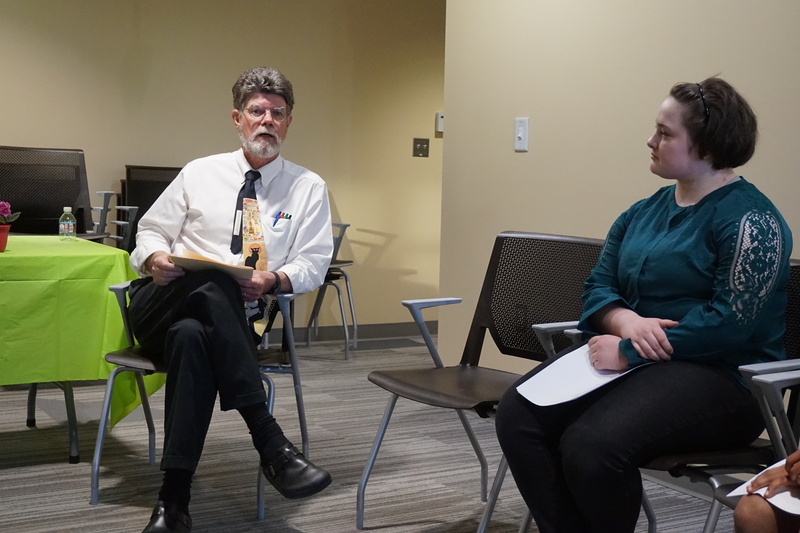 When a few poets dropped out of the annual poetry slam Thursday, host James MacArthur turned the event into a lively conversation with our two poets, Sara Carey, a freshman at Tolland High School, and Abhay Kohli, an 8th grader at Tolland Middle School, about what inspires them. 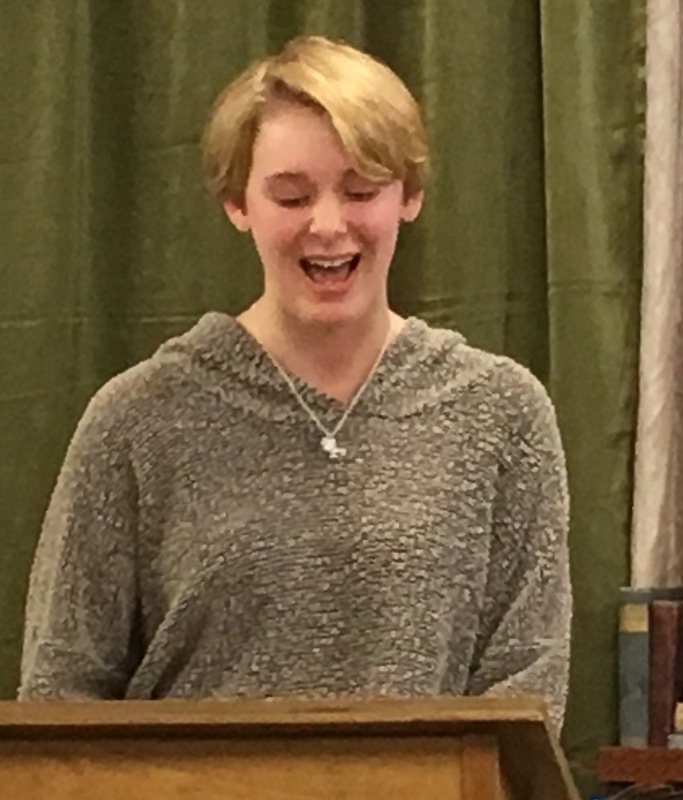 The poets then performed their work, and it turned into a special evening. 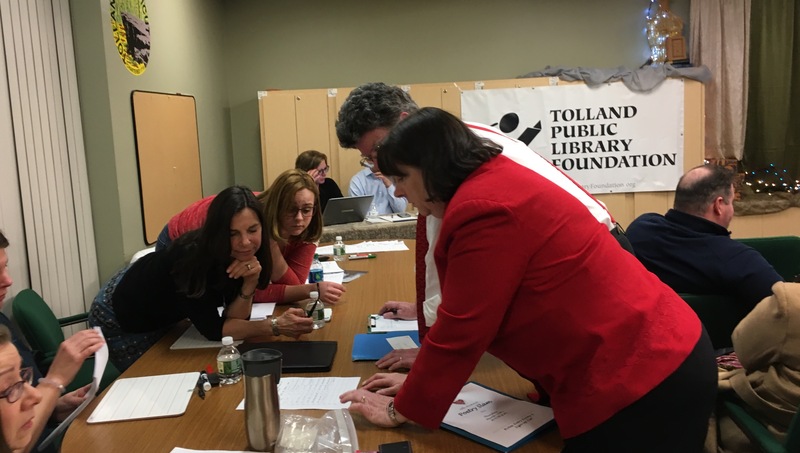 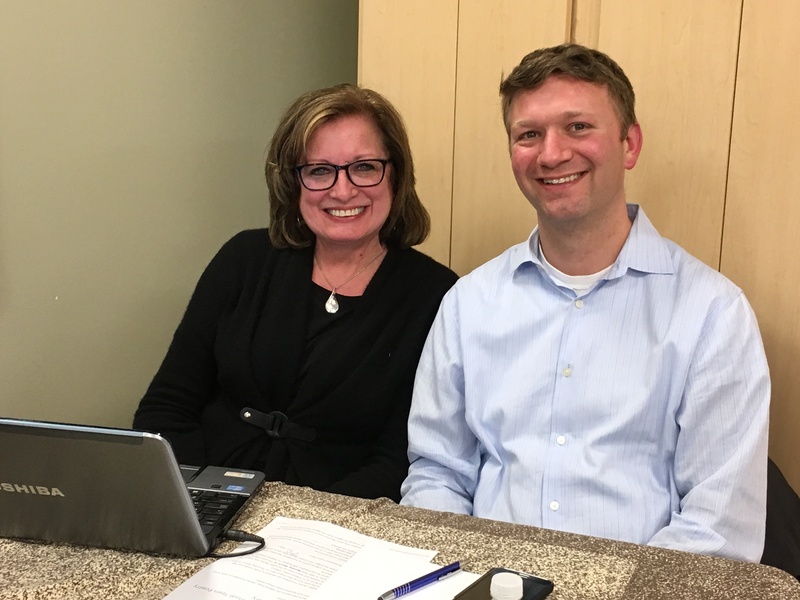 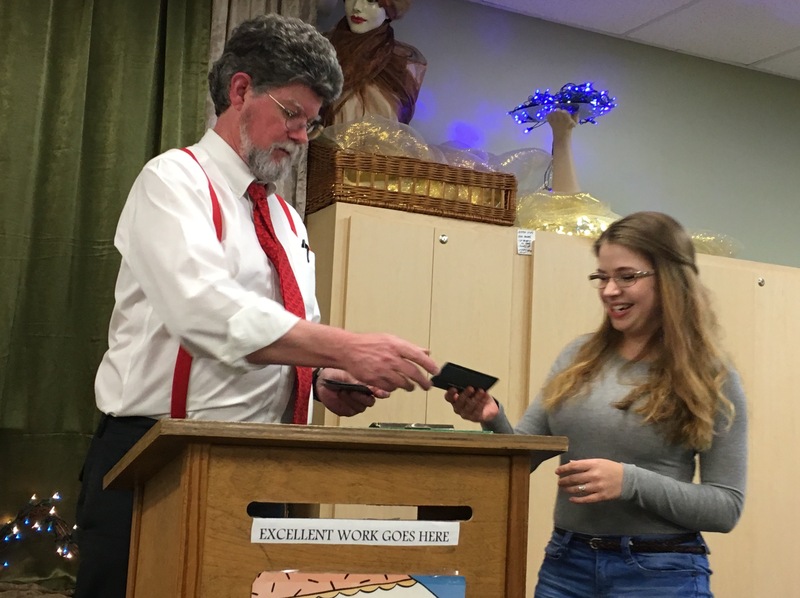 The Tolland Public Library Foundation also took the opportunity to honor Ginny Brousseau, the young adult/children’s librarian, who is retiring later this month. 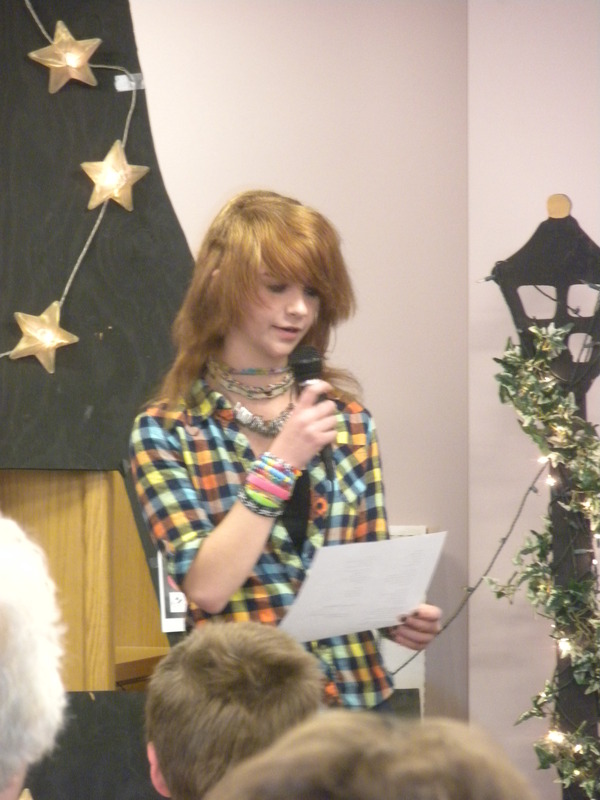 We thank her for her support of the poetry slam and other Foundation programs. 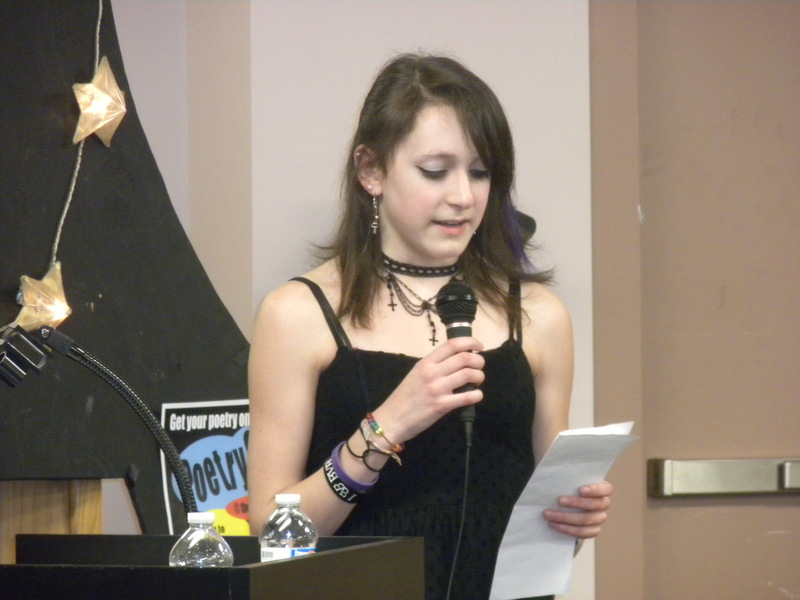 On May 17, 2013, the Foundation held its second poetry slam for teens. 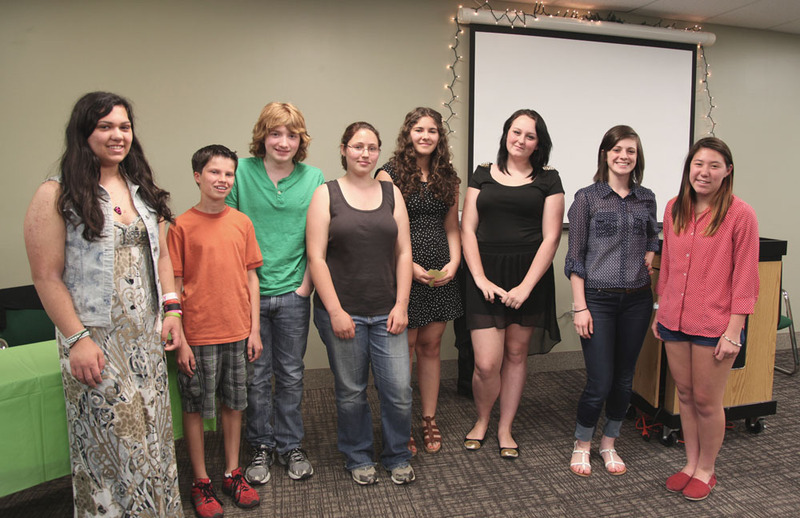 Eight teens took part. 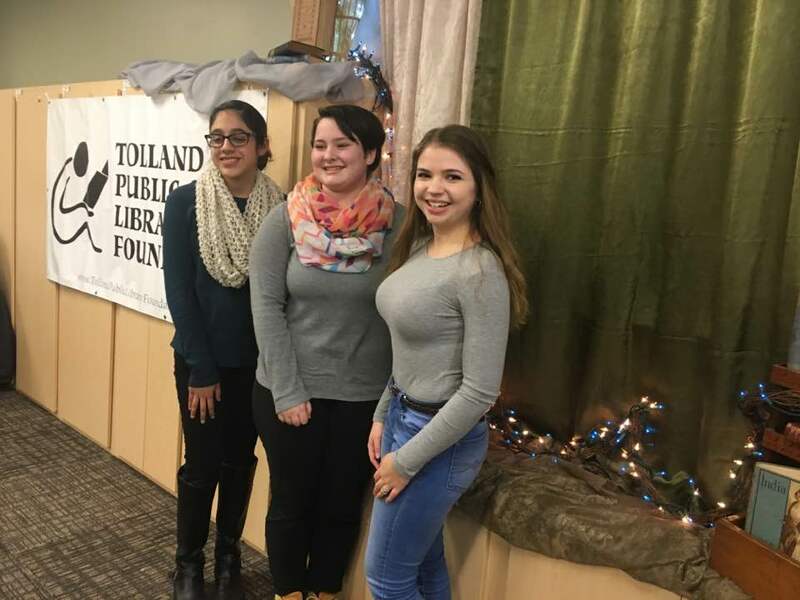 It was won by Julia Alexander of Somers High School, and Tolland High School senior Ariel Nadeau came in second. 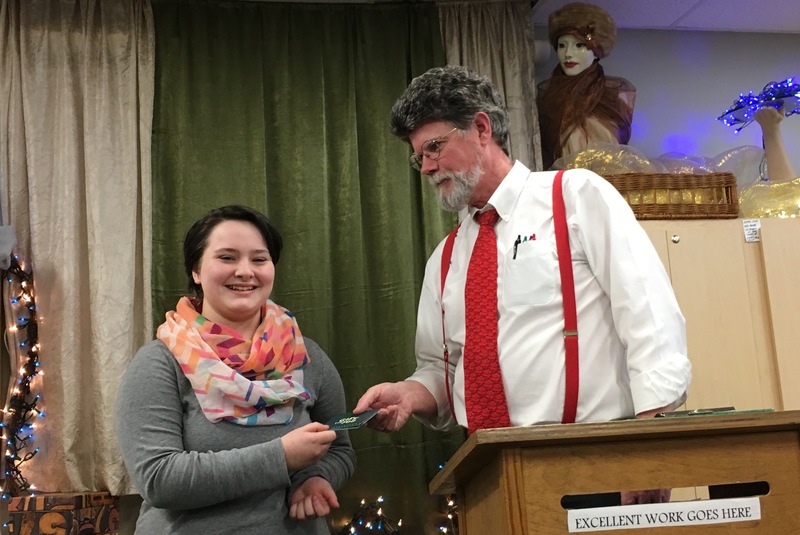 Kaitie Dilan, a THS freshman, took third place. 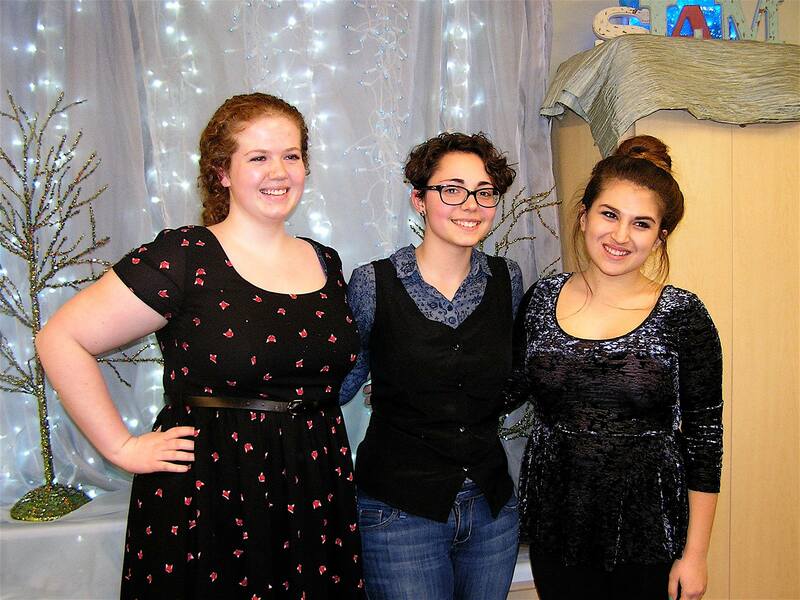 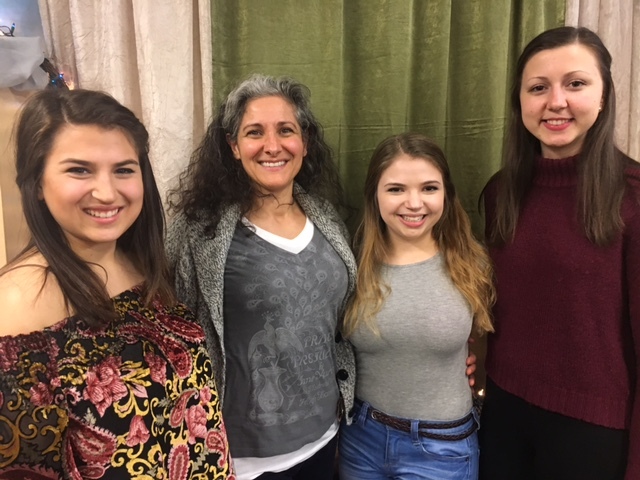 The 2016 poetry slam winners were, left to right, third place, Hannah Montgomery of Mansfield; second place, Natalie Wyse of Tolland, and first place, Aliza Pelto of Mansfield. 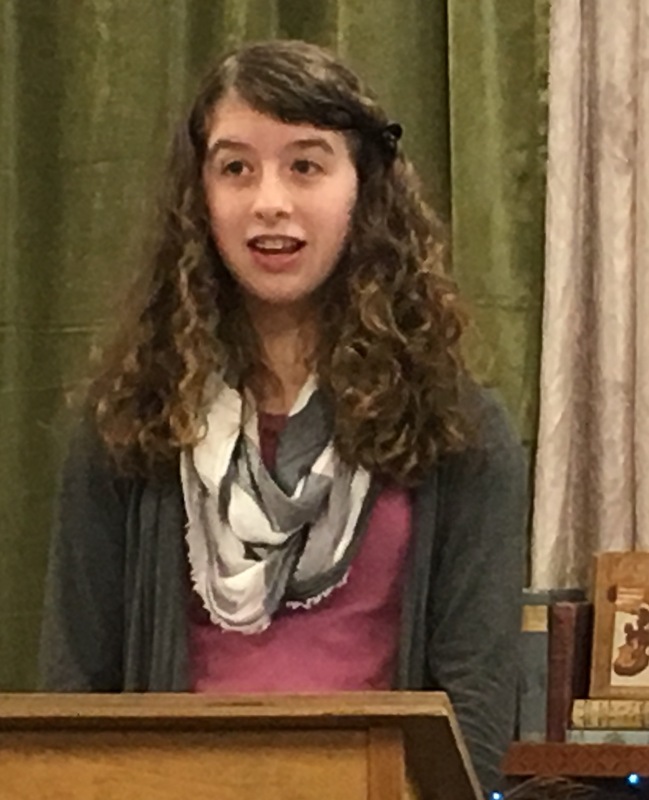 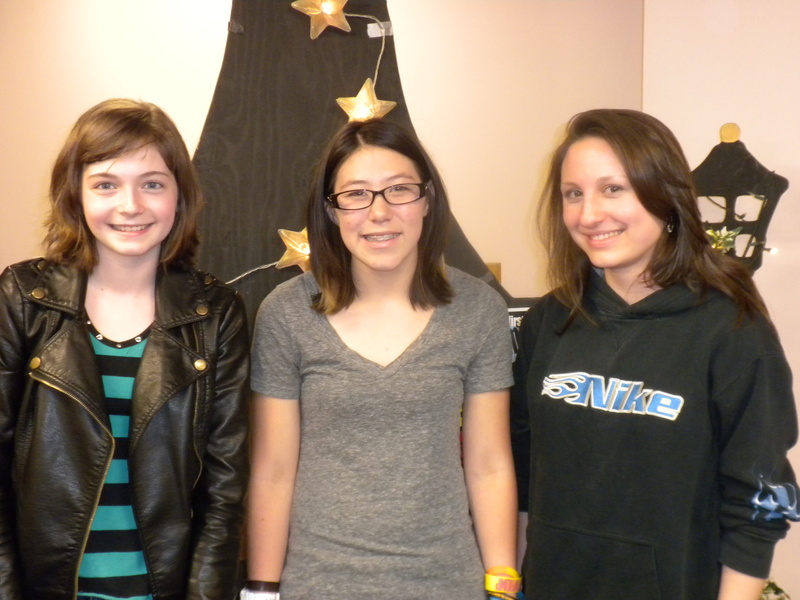 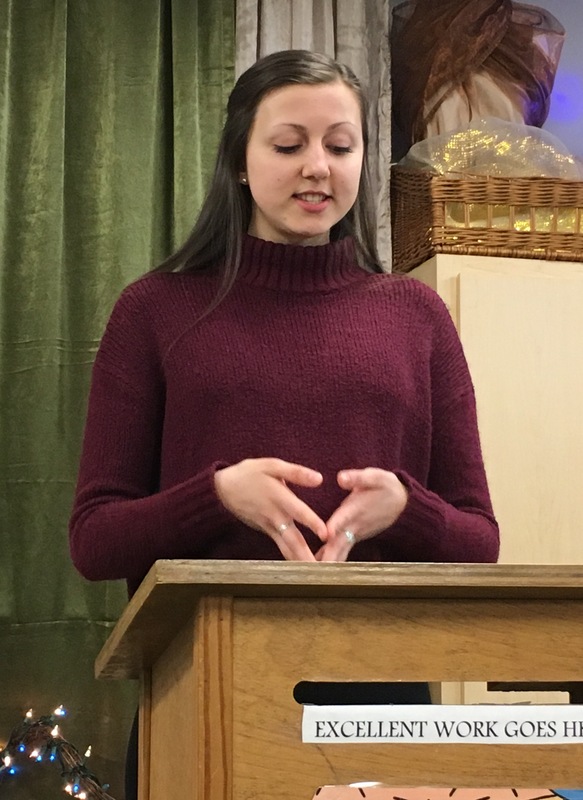 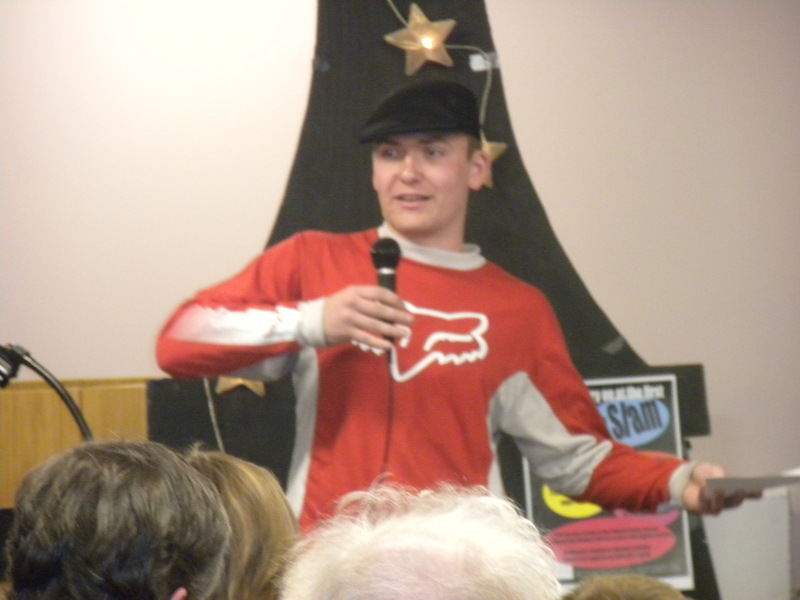 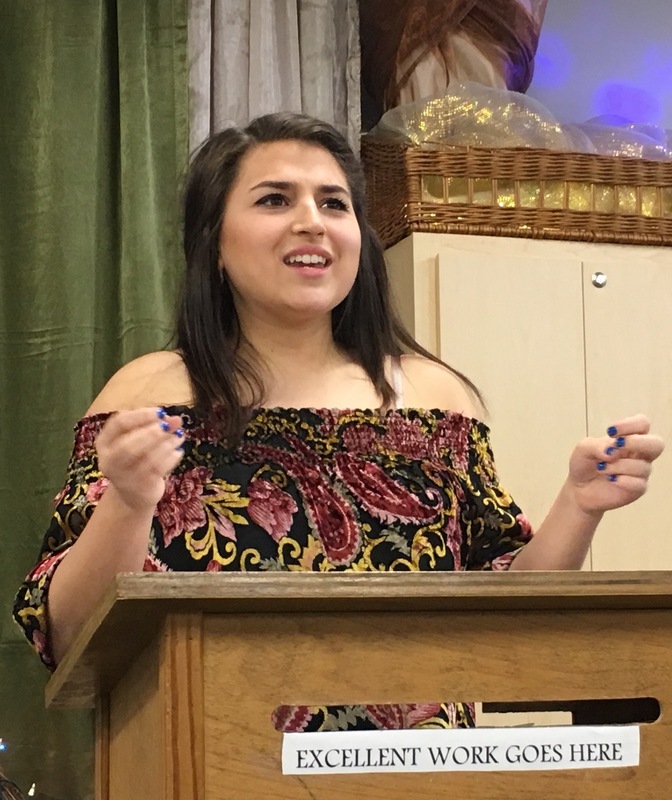 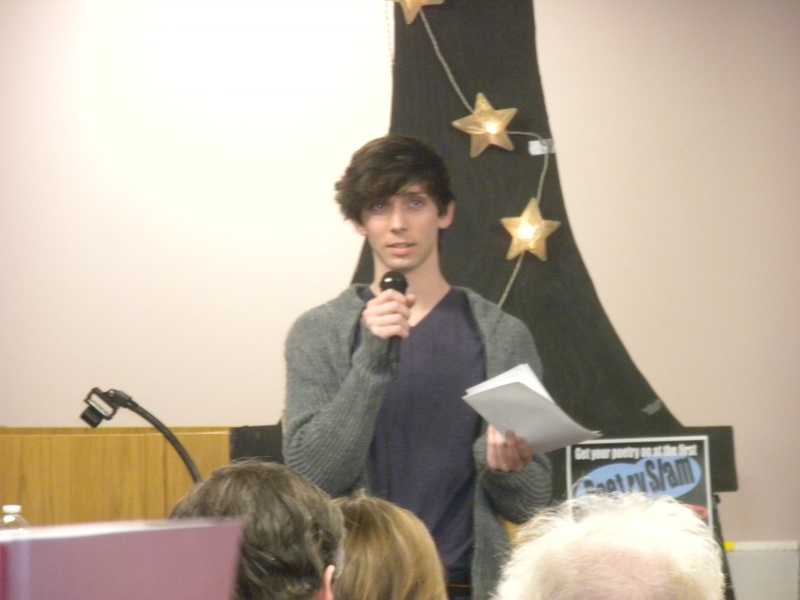 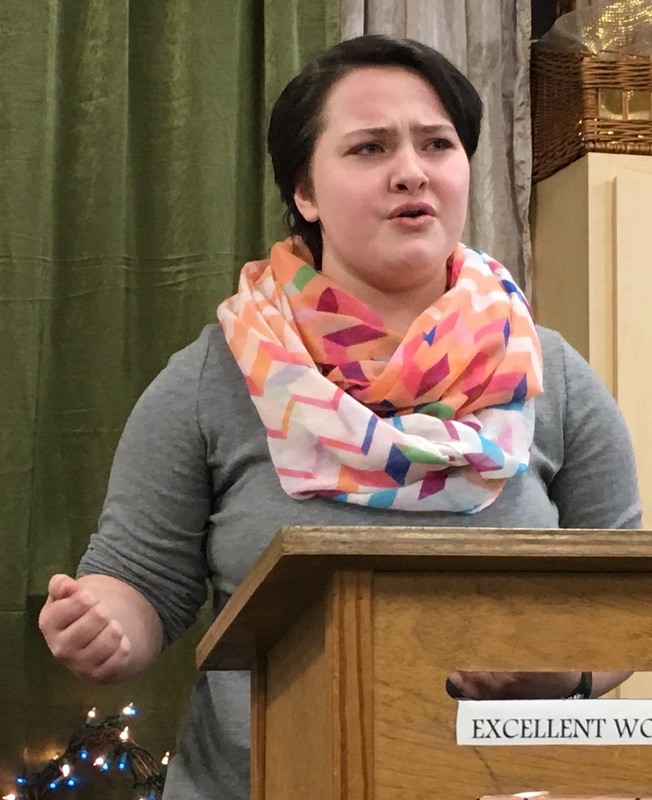 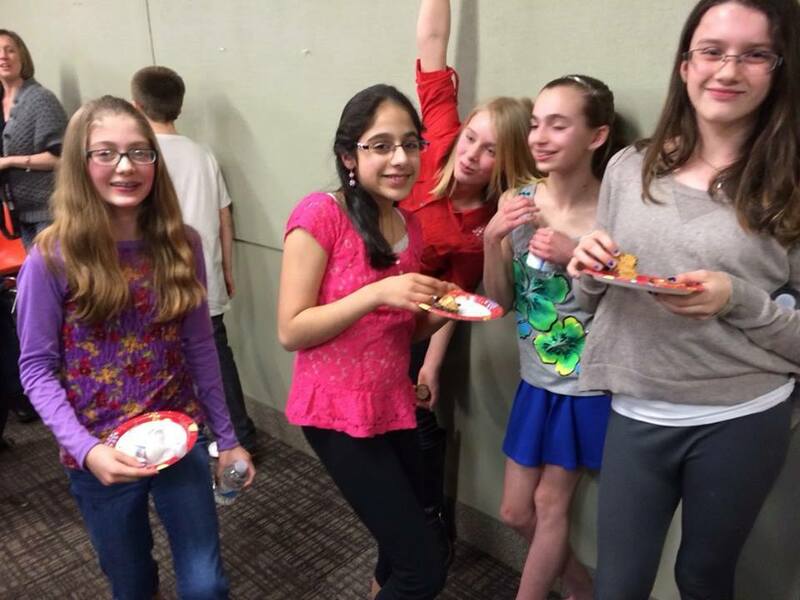 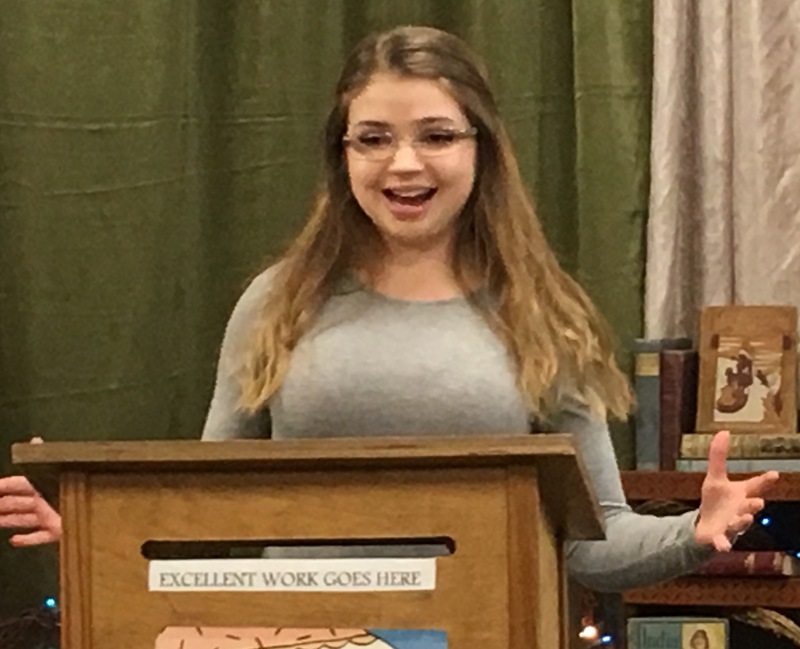 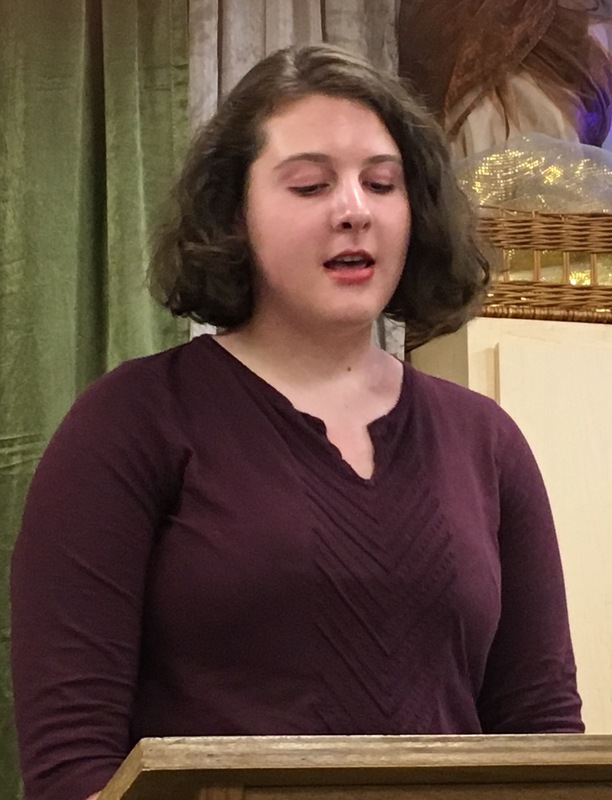 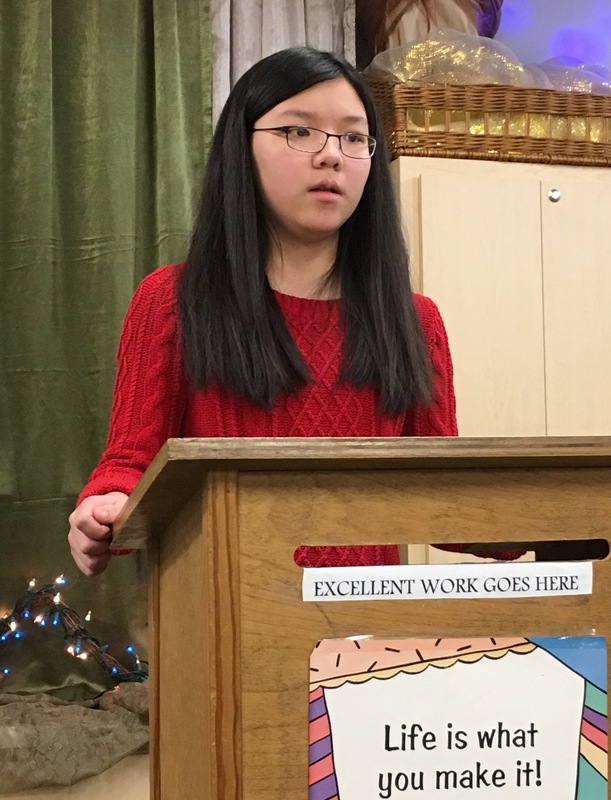 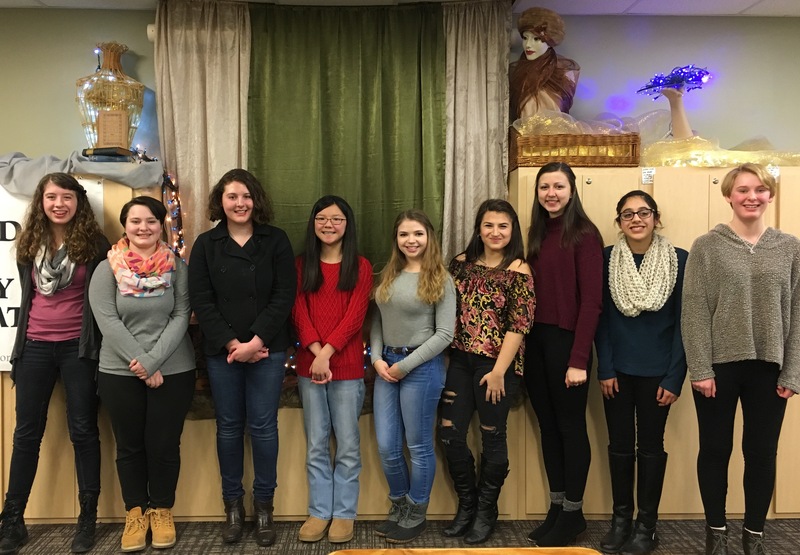 As part of its “Year of the Young Adult” initiative, the Foundation held its first poetry slam in April 2012, in which 20 teens from Tolland competed for prizes. 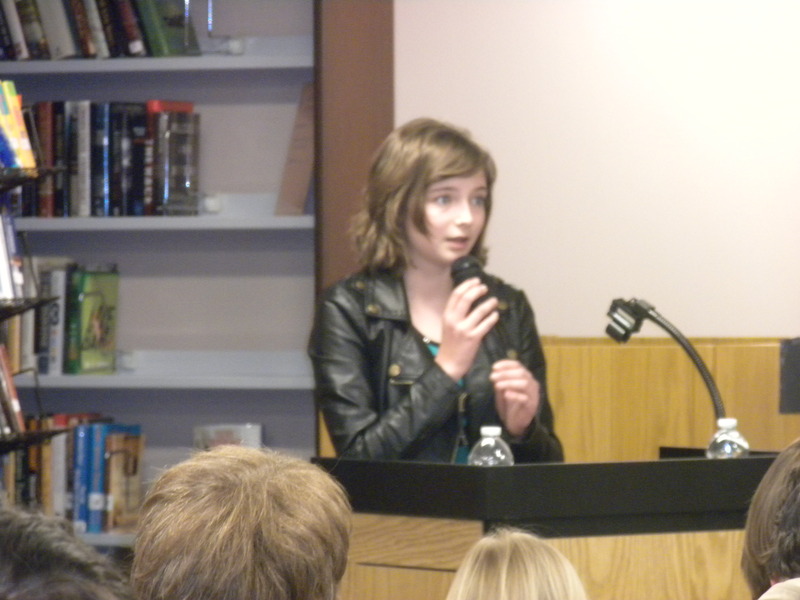 The event was so popular that it was repeated in May 2013.